One man was transported to Desert View Hospital after crashing his vehicle on Saturday, March 2. 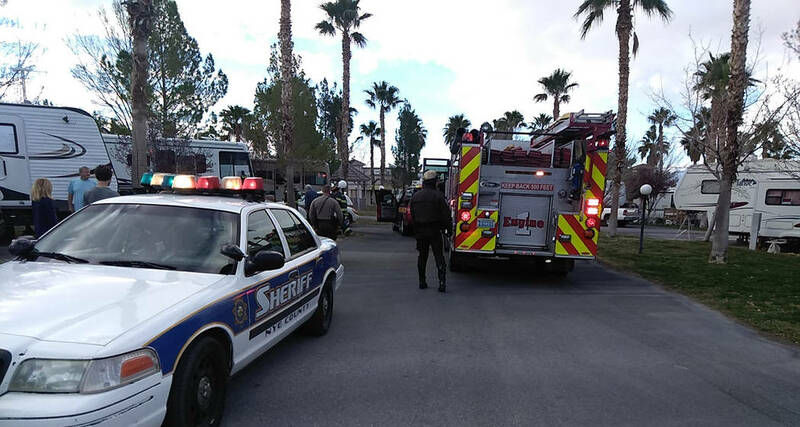 Selwyn Harris/Pahrump Valley Times A man escaped serious injury on Tuesday March 12 after attempting to light the pilot on a propane-fired furnace inside his motorhome at a local RV park. Fire Chief Scott Lewis said the ensuing flash explosion that occurred, damaged the interior of the motorhome, but no injuries were reported. 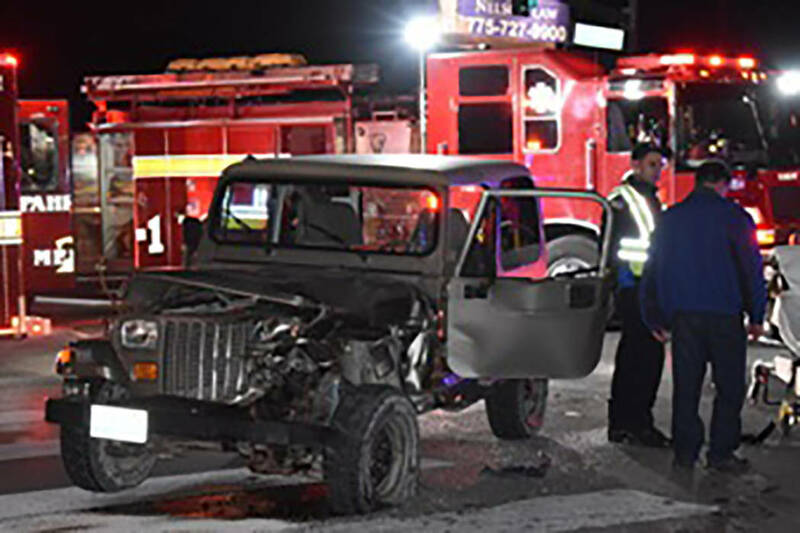 Special to the Pahrump Valley Times One person was transported to Desert View Hospital following a two-vehicle collision at the intersection of Basin Avenue and Highway 160 at approximately 7:30 p.m., on Monday March 4. Pahrump Fire Chief Scott Lewis said one person was mechanically entrapped in their vehicle. Nevada Highway Patrol is investigating the cause of the crash. Pahrump Valley Fire and Rescue Services Chief Scott Lewis said crews were dispatched to the area of Blagg Road and Highway 372 just after 9:30 p.m.
Lewis went on to say that the patient was taken to Desert View Hospital and subsequently transported to UMC Trauma in Las Vegas with multi-system trauma. The exact cause of the crash is under investigation, Lewis said. The following day, crews were summoned to the 2100 block of South Zuni Avenue for a reported structure fire, just before 5 p.m.
On Monday, March 4, fire crews were dispatched to South Highway 160 at East Basin Avenue for a motor vehicle collision, and rescue assignment, at approximately 7:30 p.m.
On Saturday, March 9, fire crews were summoned to a reported vehicle fire along the 2100 block of South Manzanita Drive, just before 8 p.m.
“Upon arrival, we found an engine compartment fire which was very quickly extinguished by crew members with no extension, and there were no injuries,” Lewis said. On Tuesday, March 12, fire crews were dispatched for a report of an explosion and subsequent fire involving a motorhome parked at a local RV park, just before 8:30 a.m.